In the process of sorting out the wiring behind the dash that someone has butchered. Instead of using an ISO connector for a Sony unit someone has cut the power from the original unit and wired in new speaker wire. None of it phases me really, but the two multiplugs that I seem to have to work with don’t look like regular ones that you would put into an ISO connector. Can anyone shed any light? Yeah you just need a harness adapter mate. On second inspection these are not anything to do with the radio. Someone’s robbed a permanent live for their own bodged iso connector and that’s it. Original radio wires were tucked away. 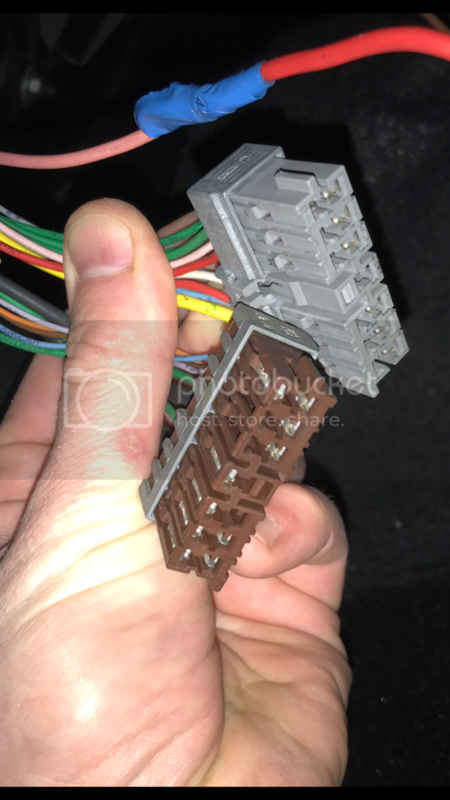 Been informed now that these are the connectors for the factory alarm module.